Money in the making! 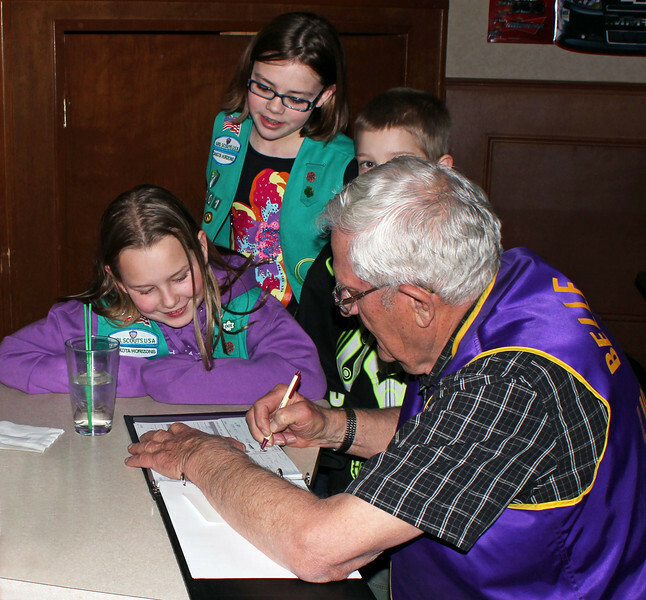 Lions treasurer Rich Drabek writes a check on behalf of the Belle Fourche Lions Club to give support to Junior Girl Scout Troop 70001's "Operation Taste of Home." LeeAna Best (seated at left) and Seyara Sechser (standing) watch as Lion Drabek does the deed! An unidentified young man, meanwhile, keeps a wary eye on the photographer!